One of the key aspects of finding a good mortgage loan is determining what type of mortgage term works out best for you. Long-term mortgage loans seem more attractive at first glance because the monthly payment is much smaller, but if you factor in the larger interest rate, you will quickly realize that a long term mortgage may not be as great as it seems. Short-term mortgages are not as popular as long-term ones, because the monthly payments are significantly larger. However, some of the benefits that a short-term mortgage brings can actually make it much more advantageous than a long-term mortgage. Out of all short-term mortgages, the 10 year mortgages seem to be the most beneficial, but it is mostly geared towards those with a fairly large and steady income. Home buyers with lower incomes generally tend to lean towards a longer term, because monthly payments are reduced. However, that doesn’t mean that they will be paying less. Because the repayment period is much longer, people with long-term mortgages pay significantly more in interest. Not only they will have to pay interest for a longer period of time, but interest rates on long-term mortgages are higher by even 1 percent in some cases than interest rates on short-term mortgage loans. That may not seem like a significant difference at first, but that small difference accumulates to tens of thousands of dollars over the years. The most obvious advantage of a 10 year mortgage is that you pay it off much quicker than a long-term mortgage. But paying it off earlier means that you will have to pay much more each month, which is the largest disadvantage of a 10 year mortgage. 10 year mortgages are not as popular as 30 year and 15 year mortgages, but they are a great choice for those who want to pay off their mortgage quicker and can afford the larger monthly payment. Here are the most important benefits that this type of mortgage has. Lower interest rates. Interest rates on 10 year mortgages are lower than interest rates on 30 year mortgages and even significantly lower than those on 15 year mortgages, which are ones of the most popular ways of buying a home. Pay less interest. You will be paying less interest on a 10 year mortgage for two reasons. One, as mentioned above, you receive a lower rate than you would on a longer term mortgage, and two, you pay the already lower interest for a much shorter period of time than you would if you went with a 15 or 30 year mortgage. Build equity faster. Because payments are much larger and the repayment period is much shorter, you will build equity in your home quicker with a 10 year mortgage than you would with a long-term mortgage. This type of mortgage has great advantages, but they are not for everyone. 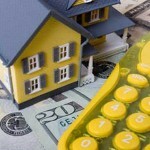 Here are a couple of the most important disadvantages of a 10 year mortgage. Larger monthly mortgage payments. Even with the lower interest rate, monthly payments on 10 year mortgage will be significantly higher than on longer term loans. This makes them a less advantageous choice for home buyers with lower incomes, or large monthly bills. Larger risk. When taking out a 10 year mortgage, you might be able to afford the monthly payment, but that can quickly change if you or your spouse lose your job or have an illness. This makes longer term mortgages a safer bet, but it all depends on how much you can afford to pay each month and how you plan on dealing with unforeseen events. 10 year mortgages sure come with many advantages, but you must be careful when making a decision regarding which mortgage to go with when purchasing a home or refinancing your current one. If you have done your homework, and conclude that a 10 year mortgage is your best option, then you will get to take advantage of all the benefits that such a mortgage loan has to offer, like a lower interest rate and the opportunity to build up equity in your home quicker.